In 1940 the Supreme Court of the United States handed down a decision that made saluting the flag compulsory in public schools. Children of Jehovah’s Witnesses, for whom the flag salute conflicts with a religious belief that forbids them to worship graven images, refused to follow the court’s mandate. 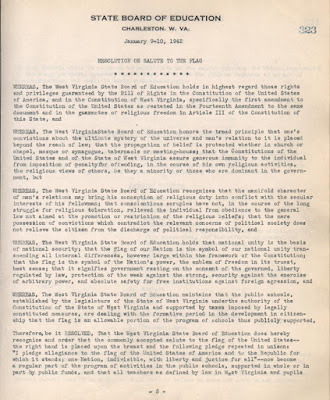 Walter Barnette and other Jehovah’s Witnesses filed suit against the West Virginia State Board of Education, and the lower courts found in favor of Barnette. In 1943, despite the patriotic fervor prevalent during World War II (1939-1945), the Supreme Court overturned its earlier decision by a margin of 6 to 3, invoking the free speech clause of the First Amendment to the Constitution. Justice Robert Jackson delivered the majority view, while Justice Felix Frankfurter, the author of the 1940 opinion, dissented. Flag Salute Rule voided as unconstitutional in 1943. Read Document text here. 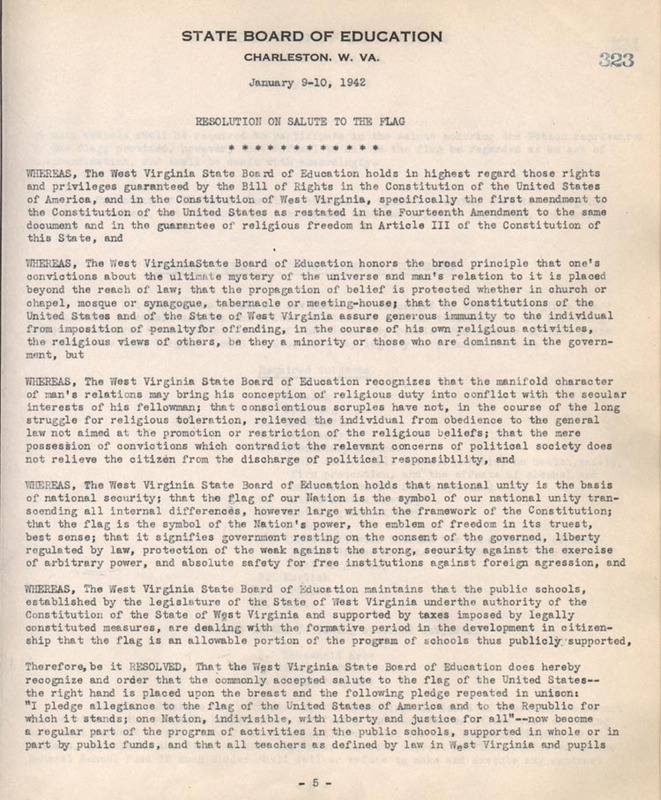 The Board of Education on January 9, 1942, adopted a resolution containing recitals taken largely from the Court's Gobitis opinion and ordering that the salute to the flag become "a regular part of the program of activities in the public schools," that all teachers and pupils shall be required to participate in the salute honoring the Nation represented by the Flag; provided, however, that refusal to salute the Flag be regarded as an act of insubordination, and shall be dealt with accordingly. I pledge allegiance to the Flag of the United States of America and to the Republic for which it stands; one Nation, indivisible, with liberty and justice for all. Failure to conform is "insubordination," dealt with by expulsion. Readmission is denied by statute until compliance. Meanwhile, the expelled child is "unlawfully absent," and may be proceeded against as a delinquent. His parents or guardians are liable to prosecution, and, if convicted, are subject to fine not exceeding $50 and Jail term not exceeding thirty days. They consider that the flag is an "image" within this command. For this reason, they refuse to salute it. The Board of Education moved to dismiss the complaint, setting forth these facts and alleging that the law and regulations are an unconstitutional denial of religious freedom, and of freedom of speech, and are invalid under the "due process" and "equal protection" clauses of the Fourteenth Amendment to the Federal Constitution. The cause was submitted on the pleadings to a District Court of three judges. It restrained enforcement as to the plaintiffs and those of that class. The Board of Education brought the case here by direct appeal. It is also to be noted that the compulsory flag salute and pledge requires affirmation of a belief and an attitude of mind. It is not clear whether the regulation contemplates that pupils forego any contrary convictions of their own and become unwilling converts to the prescribed ceremony, or whether it will be acceptable if they simulate assent by words without belief, and by a gesture barren of meaning. It is now a commonplace that censorship or suppression of expression of opinion is tolerated by our Constitution only when the expression presents a clear and present danger of action of a kind the State is empowered to prevent and punish. It would seem that involuntary affirmation could be commanded only on even more immediate and urgent grounds than silence. But here, the power of compulsion is invoked without any allegation that remaining passive during a flag salute ritual creates a clear and present danger that would justify an effort even to muffle expression. To sustain the compulsory flag salute, we are required to say that a Bill of Rights which guards the individual's right to speak his own mind left it open to public authorities to compel him to utter what is not in his mind. Whether the First Amendment to the Constitution will permit officials to order observance of ritual of this nature does not depend upon whether as a voluntary exercise we would think it to be good, bad or merely innocuous. Any credo of nationalism is likely to include what some disapprove or to omit what others think essential, and to give off different overtones as it takes on different accents or interpretations. If official power exists to coerce acceptance of any patriotic creed, what it shall contain cannot be decided by courts, but must be largely discretionary with the ordaining authority, whose power to prescribe would no doubt include power to amend. 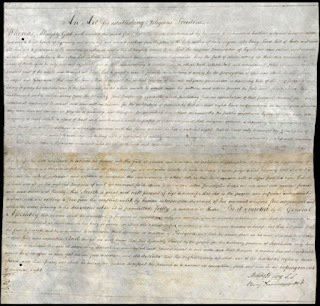 Hence, validity of the asserted power to force an American citizen publicly to profess any statement of belief, or to engage in any ceremony of assent to one, presents questions of power that must be considered independently of any idea we may have as to the utility of the ceremony in question. Government of limited power need not be anemic government. Assurance that rights are secure tends to diminish fear and jealousy of strong government, and, by making us feel safe to live under it, makes for its better support. 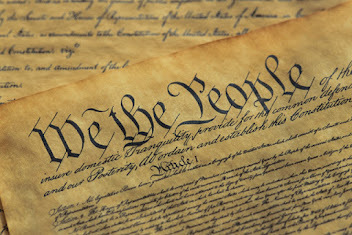 Without promise of a limiting Bill of Rights, it is doubtful if our Constitution could have mustered enough strength to enable its ratification. To enforce those rights today is not to choose weak government over strong government. It is only to adhere as a means of strength to individual freedom of mind in preference to officially disciplined uniformity for which history indicates a disappointing and disastrous end. The Fourteenth Amendment, as now applied to the States, protects the citizen against the State itself and all of its creatures—Boards of Education not excepted. These have, of course, important, delicate, and highly discretionary functions, but none that they may not perform within the limits of the Bill of Rights. That they are educating the young for citizenship is reason for scrupulous protection of Constitutional freedoms of the individual, if we are not to strangle the free mind at its source and teach youth to discount important principles of our government as mere platitudes. Such Boards are numerous, and their territorial jurisdiction often small. But small and local authority may feel less sense of responsibility to the Constitution, and agencies of publicity may be less vigilant in calling it to account. The action of Congress in making flag observance voluntary and respecting the conscience of the objector in a matter so vital as raising the Army contrasts sharply with these local regulations in matters relatively trivial to the welfare of the nation. There are village tyrants, as well as village Hampdens, but none who acts under color of law is beyond reach of the Constitution. Nor does our duty to apply the Bill of Rights to assertions of official authority depend upon our possession of marked competence in the field where the invasion of rights occurs. True, the task of translating the majestic generalities of the Bill of Rights, conceived as part of the pattern of liberal government in the eighteenth century, into concrete restraints on officials dealing with the problems of the twentieth century, is one to disturb self-confidence. These principles grew in soil which also produced a philosophy that the individual was the center of society, that his liberty was attainable through mere absence of governmental restraints, and that government should be entrusted with few controls, and only the mildest supervision over men's affairs. We must transplant these rights to a soil in which the laissez-faire concept or principle of noninterference has withered, at least as to economic affairs, and social advancements are increasingly sought through closer integration of society and through expanded and strengthened governmental controls. These changed conditions often deprive precedents of reliability, and cast us more than we would choose upon our own judgment. But we act in these matters not by authority of our competence, but by force of our commissions. We cannot, because of modest estimates of our competence in such specialties as public education, withhold the judgment that history authenticates as the function of this Court when liberty is infringed. 4. Lastly, and this is the very heart of the Gobitis opinion, it reasons that "National unity is the basis of national security," that the authorities have "the right to select appropriate means for its attainment," and hence reaches the conclusion that such compulsory measures toward "national unity" are constitutional.… Upon the verity of this assumption depends our answer in this case. Struggles to coerce uniformity of sentiment in support of some end thought essential to their time and country have been waged by many good, as well as by evil, men. Nationalism is a relatively recent phenomenon, but, at other times and places, the ends have been racial or territorial security, support of a dynasty or regime, and particular plans for saving souls. As first and moderate methods to attain unity have failed, those bent on its accomplishment must resort to an ever-increasing severity. As governmental pressure toward unity becomes greater, so strife becomes more bitter as to whose unity it shall be. Probably no deeper division of our people could proceed from any provocation than from finding it necessary to choose what doctrine and whose program public educational officials shall compel youth to unite in embracing. Ultimate futility of such attempts to compel coherence is the lesson of every such effort from the Roman drive to stamp out Christianity as a disturber of its pagan unity, the Inquisition, as a means to religious and dynastic unity, the Siberian exiles as a means to Russian unity, down to the fast failing efforts of our present totalitarian enemies. Those who begin coercive elimination of dissent soon find themselves exterminating dissenters. Compulsory unification of opinion achieves only the unanimity of the graveyard. We are not reviewing merely the action of a local school board.… Practically, we are passing upon the political power of each of the forty-eight states. Moreover, since the First Amendment has been read into the Fourteenth, our problem is precisely the same as it would be if we had before us an Act of Congress for the District of Columbia. To suggest that we are here concerned with the heedless action of some village tyrants is to distort the augustness of the constitutional issue and the reach of the consequences of our decision.